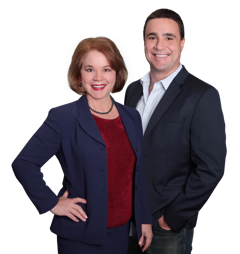 Team Leban are natives of Tampa and have been selling Tampa Bay Homes for a combined 40 years. We know Tampa Bay, listing and selling homes in North and South Tampa, Wesley Chapel, Westchase, Odessa, Lutz, Land O Lakes, New Tampa, and Brandon within Hillsborough. Within Pasco County, Team Leban covers LOL, Lutz, Wesley Chapel. Team specialty areas in Pinellas County include: Palm Harbor, Clearwater, all Beach towns, the Old NE, Snell Isle, and downtown St Pete! Our passion for Lakefront and Waterfront lifestyles keeps those properties as a focus. We offer our clients a professional service to meet their individual needs, giving our Buyers a 360° overview of the Greater Tampa Bay residential community, from downtown lifestyle to the suburbs. We specialize in listing & selling in ALL of Greater Tampa Bay; there are very FEW communities which Team Leban has not shown or sold within. Our experienced Team will make sure each customer’s needs are looked after. Whether relocating to or from the Tampa Bay Area our experience speaks volumes when representing our clients for a smooth and successful transaction. Feel free to call us at (813) 833-4029 & interview TEAM LEBAN when in need of a TAMPA REALTOR! Our goal is to complete our clients’ Tampa real estate investment experience by indeed exceeding their expectations.